During this passage we want to stay a long long time around the Maldives and go around its atolls mainly the ones in the south and all those further away from Male and the classic Maldives resorts. 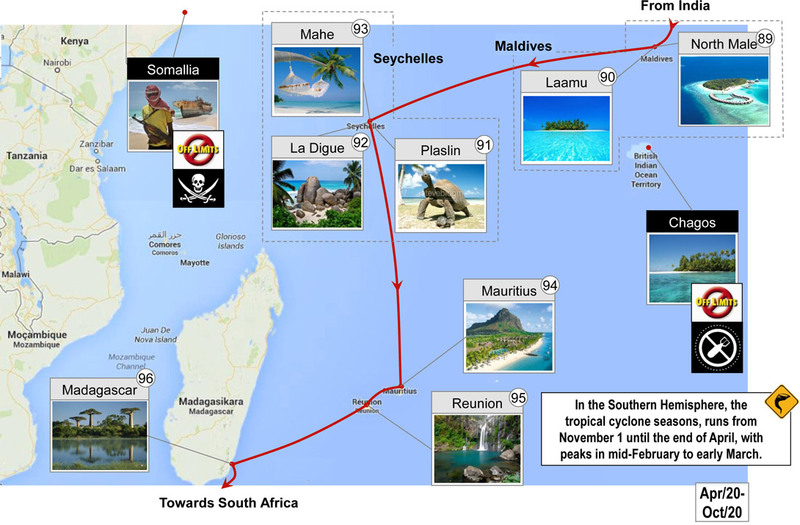 We also want to be the furthest away we can from Somalia because of piracy. We are still considering if we will go to Seychelles or not. There is a lot of time to think until than. Hiking for some great waterfalls in Reunion and kiting in Mauritius would also be incredible.